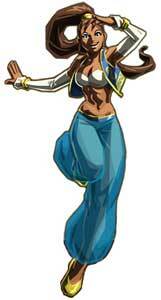 Pullum Purna is one of the playable characters in the Street Fighter EX fighting game series by Arika. She debuted as one of the initally playable characters in Street Fighter EX (1996) and returned in Street Fighter EX2 (1998). 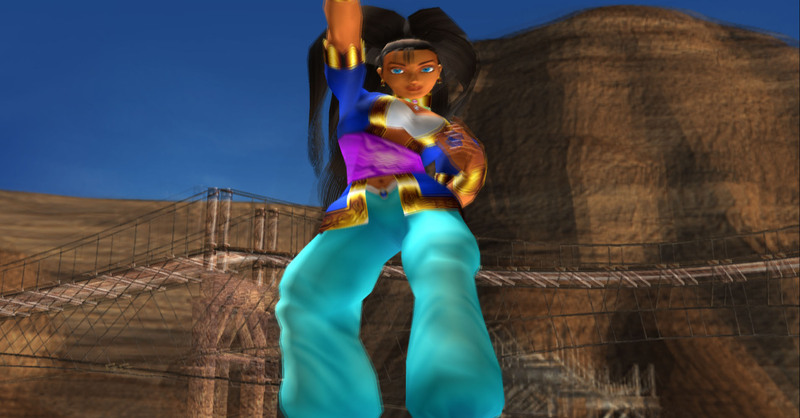 In Street Fighter EX3 (2000) she is one of the returning characters that have to be unlocked first before they become playable. 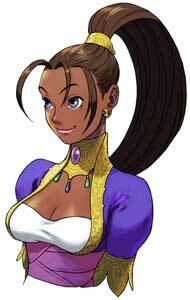 In Pullum’s case it requires six playthroughs of the arcade mode. Like all SFEX characters she might return in Fighting Layer EX (2018) at some point.